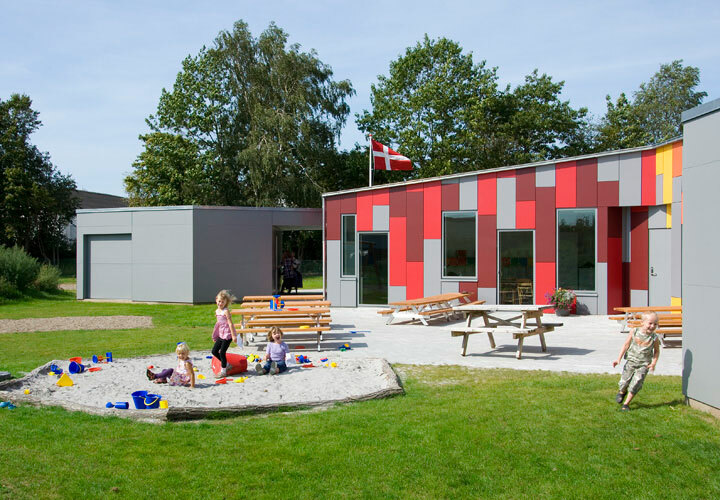 The day-care centre in Taulov is actually a Danish standard institution. 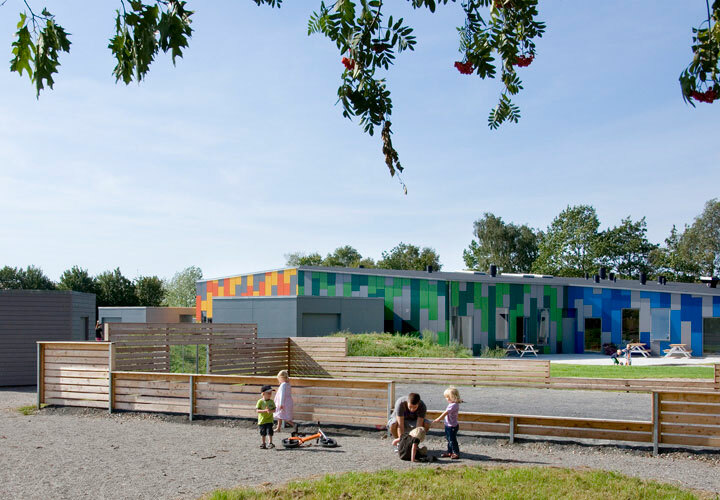 It doesn´t have a special theme, like our design kindergarten Paletten and there is no alternative ideology. 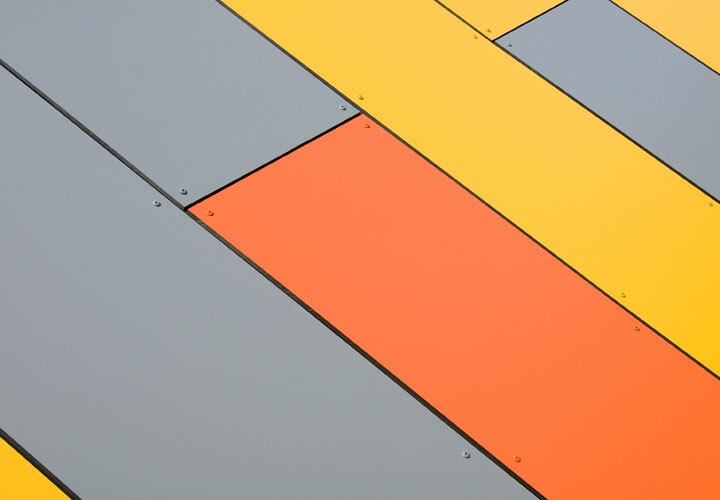 Even though the design is fairly characteristic, it derives primarily from functional demands. 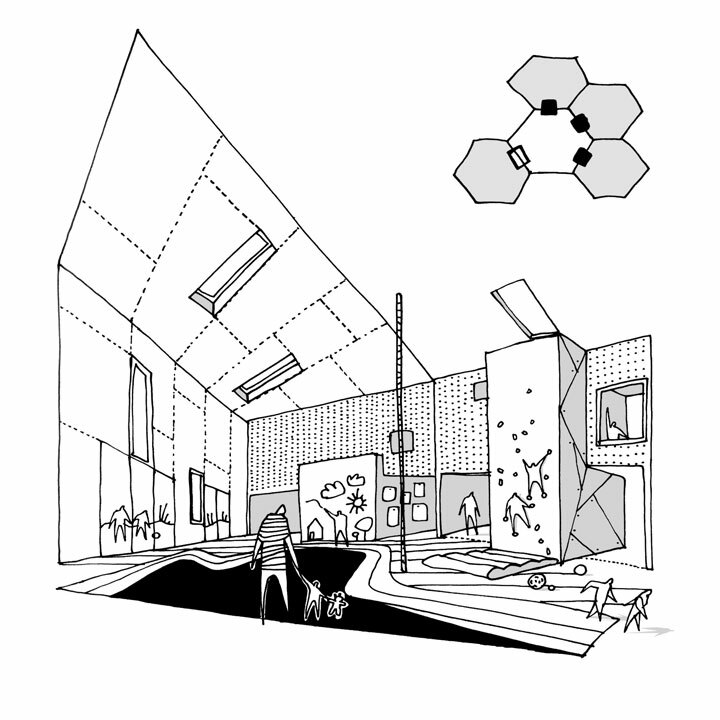 The client expressed a desire to have almost every single room attached to a common space. Normally, this leads to either an overly large central space or rather narrow rooms around it. 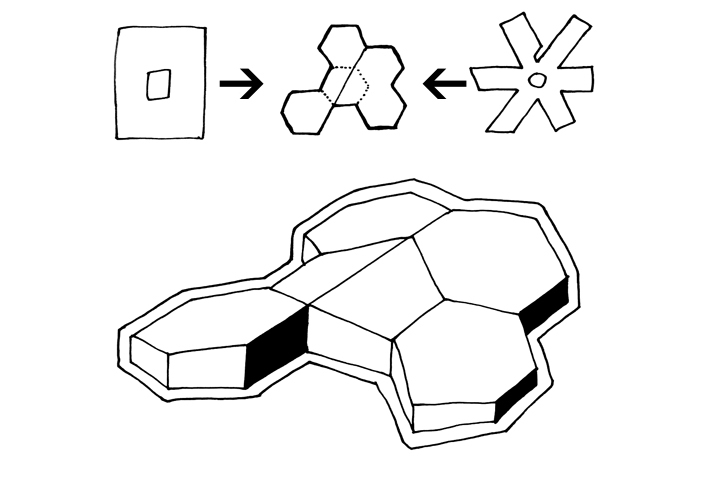 With the hexagon grid, we managed to avoid both. 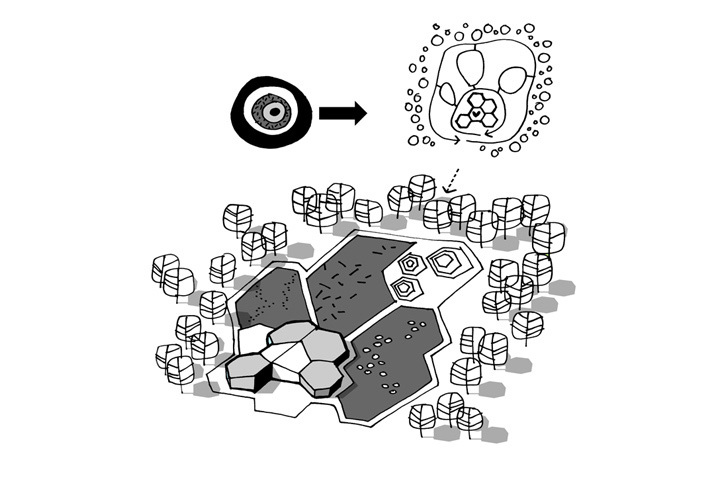 The hexagon plan is organized like a daisy. 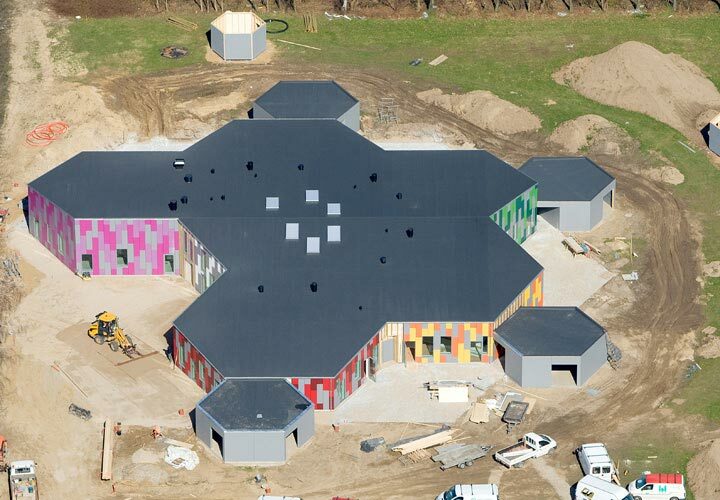 The yellow stamen in the middle makes up the central activity room and the petals around it are group rooms and staff facilities. 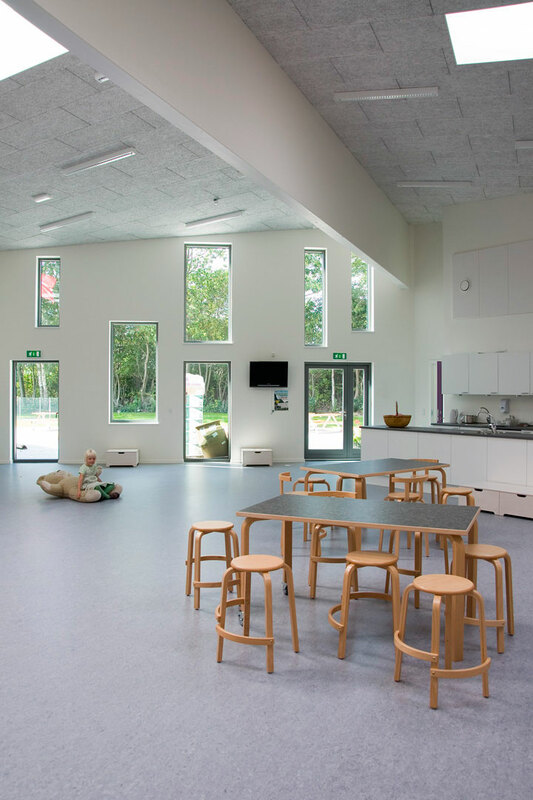 This brings everybody close to the centre and encourages social interaction between different groups of children. 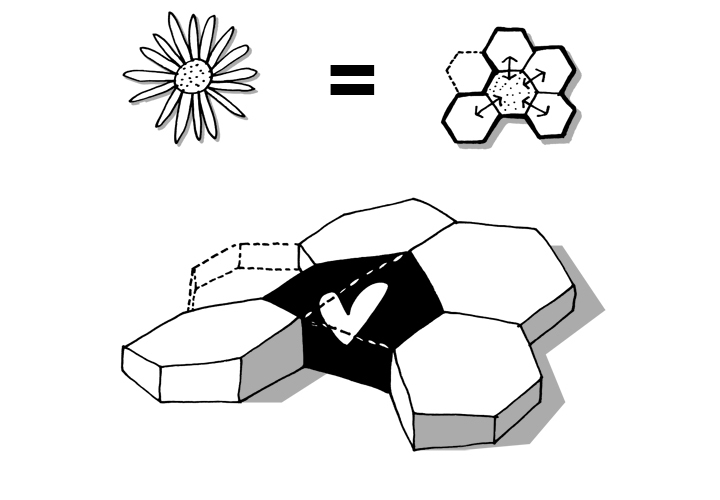 To form a main entrance and to let in light, one petal is removed. 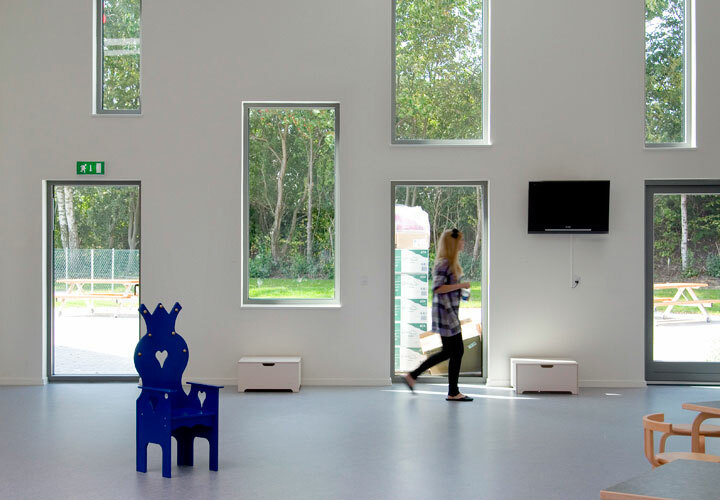 The building consists of six similar hexagon units, one common room in the middle, the staff unit and four units for the children. 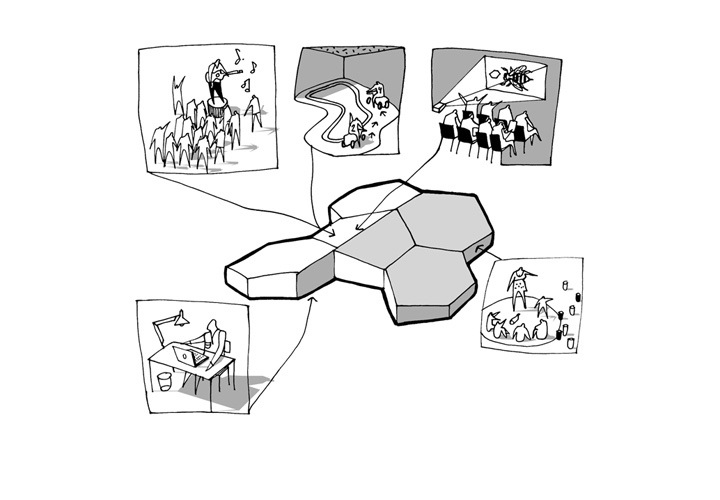 Each unit contains two group rooms with shared facilities in a compact core. 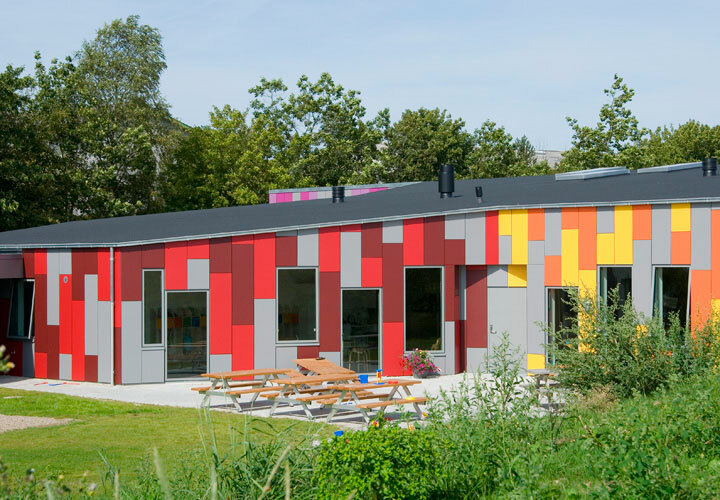 To downscale the building and make it more child-friendly, each hexagon has its own colour. This makes the building look like a group of easily recognizable small houses.